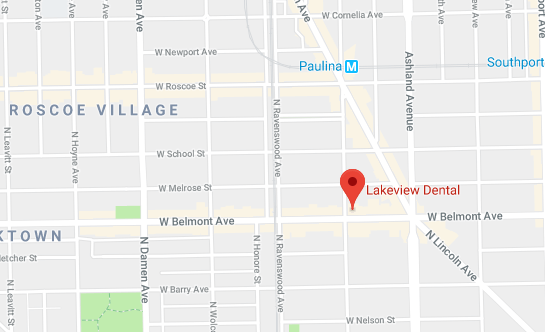 At Lakeview Dental, we feel that dentistry should not be something to avoid. We feel that our philosophy towards treatment is different from what most people are used to. We believe that recommended treatment should take into account the goals of the patients, as well as personal finances. We promise to work with you personally to find a treatment plan that fits into your lifestyle. Our goal is to give you an exceptional dental experience you will be happy to tell your friends and family about. We strive for 100% patient satisfaction and take customer service very seriously. Let us show you what “care” means to us. Request an appointment online, or call us at (773) 649-5200 today! To ensure you receive the best care, we use the highest quality materials, equipment, and supplies in all of our dental procedures. We only employ techniques and tools which have been tested and proven for success. We understand that people don’t always look forward to going to the dentist, because of this, we eliminate the need for multiple visits to our office by combining several treatments into one visit. A visit to our office will be more comfortable to anything you have experienced before! You will always be welcomed with a friendly smile, and offered entertainment and refreshments before, during, and after your visit. To make your visit as stress-free as possible, we make sure you have a comfortable waiting area before your visit, comfortable exam chairs for during your visit, as well as your choice of instant movies and TV shows to keep you entertained throughout your procedure. We will always do our best to see you right at your scheduled appointment time, not after. We will not leave you in the waiting room, guessing at when you will be called in, rather – the waiting room is for use of your guests while you head straight back to your treatment room. Because accidents & emergencies happen, we encourage our patients to call right away if they are experiencing an emergency. If you experience an emergency outside of office hours, we even offer our patients the doctor’s cell phone number so that your problem can be addressed as soon as possible. We make keeping track of your appointments at Lake View Dental as easy as possible by communicating via text and/or email to confirm appointments. At Lake View Dental, you know we will do everything possible to ensure you have a great experience during and after your appointments. Our goal is to take away any discomfort with dental visits and give our patients 100% satisfaction with their smiles!